​In July, we announced a preview of new Skype for Business voice and meetings capabilities in Office 365, including PSTN Conferencing and Calling, Cloud PBX and Skype Meeting Broadcast. More than 4,000 companies are currently previewing the new services, with usage growing at an average of 20 percent every week. Today we’re excited to announce that we are expanding the preview to provide support for additional countries, as well as adding several new features. Initially available only in the U.S., the PSTN Conferencing preview will now be available to customers in Belgium, Canada, Denmark, France, Germany, Italy, Netherlands, Spain, Sweden, Switzerland and the United Kingdom starting this month, with Finland, Norway and South Africa coming in November. The new PSTN Conferencing services enable customers to add dial-in and dial-out capabilities to existing audio, video and web meetings in Skype for Business Online, all provided by Microsoft. The preview will be localized for these countries to include their native languages and local phone numbers for meetings. Skype for Business Server customers around the world will now be able to preview Cloud PBX in Office 365 using their existing phone lines for inbound and outbound calling. Using this on-premises PSTN connectivity, customers worldwide can use Cloud PBX to eliminate separate PBX systems for users but still take advantage of their existing carrier contracts and circuits. 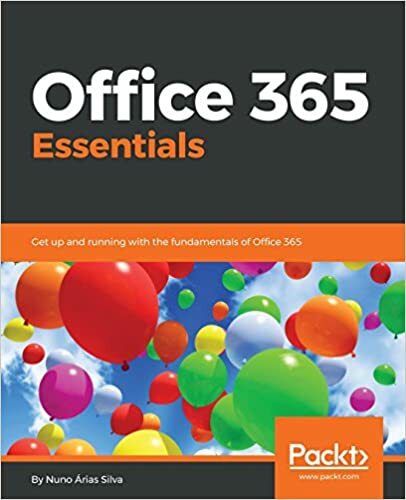 In this hybrid configuration, Office 365 customers use on-premises Skype for Business Server software and their own existing IP-PBX or carrier connection to make and receive calls to landlines and mobile phones. Initially, this hybrid option requires an on-premises Skype for Business Server installation, but we plan to provide additional options over time. In the coming weeks, several IP phone models will also become available for preview with Cloud PBX. Existing Skype for Business customers can use Polycom CX600 and CX3000, HP 4120, and Mitel Mivoice 6725 (previously sold as Aastra 6725 IP) devices running the latest firmware. New customers can purchase Polycom VVX series devices pre-loaded with the necessary software to connect directly to Office 365—more information can be found on Polycom’s website here. Over the next several months, the list of supported devices will expand to include additional models and manufacturers. Finally, later this month, we will add the Skype for Business Call Quality Dashboard (CQD) to the preview. This dashboard offers IT admins quick and easy access to aggregated quality information for both meetings and calls. It will include daily and monthly views of call volumes along with the ability for customers to assess call quality as a function of IP network type and user location. Sign up to try the new features today! We really appreciate all of our preview users and the time customers have taken to test and help us improve our service prior to launch. Now, with the new countries supported with PSTN conferencing and the worldwide preview of Cloud PBX, even more enterprise customers can preview the new capabilities. Go to www.skypepreview.com in order to learn more and get signed up. A. The Skype Meeting Broadcast and Cloud PBX previews are now available worldwide to customers with an Office 365 enterprise plan or Skype for Business Plan 2. The preview of PSTN Conferencing is available to customers in the U.S., Belgium, Canada, Denmark, Finland, France, Germany, Italy, Netherlands, Norway, South Africa, Spain, Sweden, Switzerland and the United Kingdom, with an Office 365 enterprise plan or Skype for Business Plan 2. Cloud PBX with PSTN Calling is available in the U.S. to customers with an Office 365 enterprise plan or Skype for Business Plan 2. EDU and Nonprofit tenants are not eligible for the preview at this time. A. No, the trial must be provisioned for the customer tenant by an Office 365 administrator. End users interested in trying the new services should contact their Office 365 administrator. A. Eligible Office 365 enterprise customers may choose to trial any or all of the services now in preview according to the geographies where each preview is available. A. We expect to make Cloud PBX generally available worldwide before the end of this year. PSTN Calling and PSTN Conferencing we expect to make available in the pre-release markets before the end of this year. We will share pricing and licensing details when we are closer to general availability. Today’s post was written by Ali Rohani, principal program manager lead and Jamie Stark, senior product manager on the Skype for Business team.